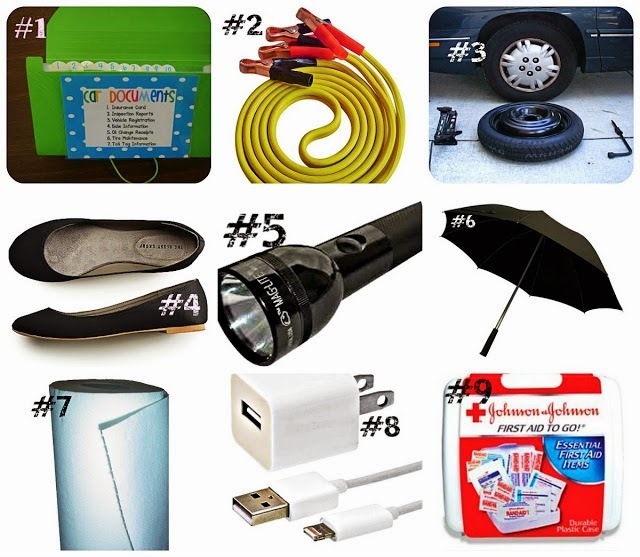 Emergency Chick Kit: Items you should have in your car just in case if an emergency situation happens. #3 Car Jack, Donut (Spare Tire) and Tire Iron: These should come standard and usually is located in the trunk. 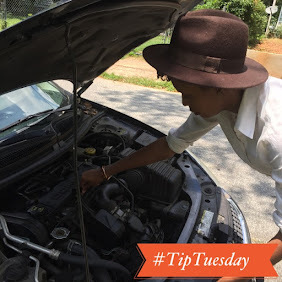 #4 A Pair of Flats: Its always great to have a comfortable pair of shoes in the car just in case you have to change a tire or have to leave your car and walk. #5 A Flashlight and batteries: It can be extremely handy to have when the situation is inconvenient but not necessarily dire. #6 An Umbrella: You never know what the weather will do! Its great to always have one in the car. #10 Tire Plug Kit: A kit to repair puncture related flat tires.